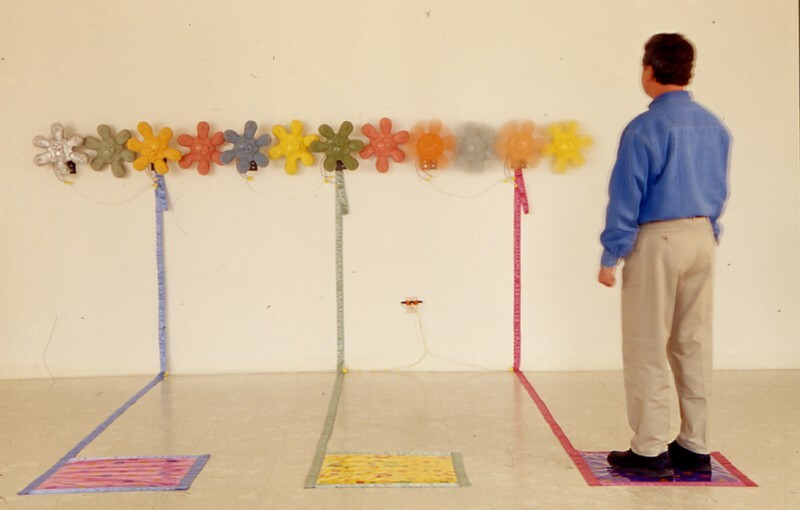 Time Piece is an interactive kinetic sculpture consisting of 12 cast urethane body/flower forms that operate as gears. There are 6 motors that are triggered by viewers standing on the three baby blankets. The second title, (bay of rainbows), comes from a 'body' of water on the moon.